Question. What does a teenager in Korea named Lee Young Ho and a Mongolian in Japan named Mönkhbatyn Davaajargal have in common? As of today they are the undisputed champions of their professions. With his complete dismantling of Jaedong over the past couple months; Lee Young Ho has proven he is the best StarCraft player alive. He is within a single trophy of matching the legendary NaDa for the most titles all time. No one poses a threat to his reign, and with StarCraft2 poised to lure away the newest generation of gamers, a future emerging challenger seems unlikely. Mönkhbatyn Davaajargal, now known as Hakuho in his adopted country, is on the edge of history. Last night he defeated up and comer Tochinoshin with little effort to win his 52nd consecutive sumo match. Tonight he goes for number 53, which would tie him with the legendary Chiyonofuji for the second longest winning streak in modern sumo history. On the surface these similarities might seem like mere coincidence. However, the worlds of professional StarCraft and professional Sumo are much closer than most people realize. Read on to find out why it was so natural for my StarCraft passion to transfer over to Sumo, to learn what kespa could learn from a 500 year old Shinto ritual, and how we are witnessing today a critical juncture in both events. Both StarCraft and sumo revolve around the team. In StarCraft there are 11 corporate sponsored teams that live together. In Sumo there are 57 heya, or stables, with about 700 wrestlers. 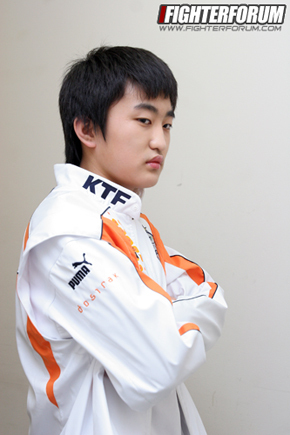 In both StarCraft and sumo former competitors play a significant role in the teams. In StarCraft former players act as coaches and mentors to young players, sharing their experience while at the same time maintaining a presence in the sport. In sumo, the stablemaster runs the heya, and he is always a former wrestler. It is his responsibility to train the next generation of wrestlers. Both StarCraft teams and sumo wrestlers rely on sponsorship for funding. The very name of a StarCraft team has the sponsor in it, and during a match there are gratuitous shots of sponsor patches on uniforms, and a bevy of products lining the team tables. In sumo, companies can sponsor specific wrestlers. While the wrestler prepares for his match, a banner is unfurled and paraded around the ring. One banner for one match costs 600 dollars, with half going to the wrestler and half going to his taxes (wrestlers are notorious for poor finances). The winner is presented with the sponsorship money, in cash, after the bout. Becoming a crowd favorite can be very lucrative for a middling wrestler who may not make the big dollars through winning tournaments. Some wrestlers have patrons that sponsor all 15 bouts every tournament. One such wrestler is the Bulgarian Kotooshu, who is sponsored by Bulgaria yogurt. In the sumo world your ranking means everything. Period. Sumo is very clearly divided into the haves and have-nots. Because there is a number attached to your rank, your very lifestyle is tied to your performance. In Sumo there are six divisions. Except for those who have had successful university careers, everyone starts at the bottom. Advancement is based on the results earned from the six major tournaments each year. The math is simple. If you have a winning record, your rank will go up. If you have a losing record, your rank will go down. If you are in the bottom division, not only are you fighting for your professional life, but your lifestyle is strictly regimented. You are expected to do the mundane shores at your training stable, you are not permitted to wear an overcoat, even in winter, and you must wear wooden sandals on your feet. It is only when you gain the higher divisions that the restrictions on your lifestyle ease. However, struggling and getting to the top is definitely worthwhile. A yokozuna, the grand champion, commands respect from virtually every member in the industry, and is an important cultural figure. He also makes upwards of 30,000 dollars a month in base salary and is awarded bi-monthly bonuses. During a tournament, sponsorships of his bouts can add another 10,000 per day (provided he wins), and winning a tournament in the top division can add another 100,000 dollars or more. There are many parallels in professional Korean StarCraft. Much was made of Idra having to perform chores at the CJ house as his part of the B-team training. Scrubbing toilets and sleeping in more cramped quarters was simply part of the deal. B-team players practice longer and harder than their A-team counterparts. Some are licensed, while some simply live there for the chance at a license, without salary. And if that b-teamer climbs the ranks to become champion? He is seen as an A-team member. An S-class player. And if he should dominate an era, he is called bonjwa. In Boxer’s bonjwa era he acted in movies and played StarCraft with the Prime Minister. A cultural symbol not unlike the yokozuna. As for the money? Players like Nada, Xellos, Boxer, and Flash make factors more than the average salary man. Members of the team are expected to live and train at the team house. Training follows a regimented schedule. The junior members are expected to work harder and train longer than the best members, and are expected to help the top members for their matches. Training can last for hours and often focuses on mental and physical components. The preceding passage, while vague, could apply to both sumo and StarCraft. In both sports the members of a team, or stable in sumo, live together, eat together, and train together. While some allowances are made for the top sumo wrestlers to live on their own (like Yellow did in his waning years at KTF) the majority of the team lives together at the stable, or house. During training StarCraft players often work on specific builds, perfecting their timing through mass repetition. While many on the outside imagine a “work smarter, not harder” approach, the Korean gamers have instilled a routine that is crushingly tedious. And it has worked. Sumo is the ultimate in low-tech training. Wrestlers smack against each other for hours, palm thrust wooden trunks, and lift sand bags to work out. The feeling is, if it worked 200 years ago, it will work now. Of course, all of this is just periphery without examining the sport itself. At the beginning of sumo, the two wrestlers start in the same position, touch their knuckles to the dirt, and then charge. In StarCraft, all players start with one building and four workers. There are predefined conditions for defeat, a sumo match ends when one wrestler steps out of the ring, or any part of his body other than his foot touches the ground, and a StarCraft game ends when one player taps gg. Prior to a professional StarCraft match, the gamer has almost always prepared a build. A strategy he wishes to execute based on the opponent he is facing. Sometimes the build is thrown off, or even scrapped at the beginning of the game, but they all prepare. Some gamers become comfortable with a particular style and build. Some players are macro players, some like to cheese, and others become known for specific builds. In sumo, wrestlers also prepare a build. Some wrestlers are known and “pusher-thrusters” who attempt to slap their opponents out of the ring. Other wrestlers excel at using belt techniques to throw. Others are happy to jump to the side and out of the way of a charging wrestler with a maneuver called “henka”, something looked down upon as not “proper sumo” by fans. Sounds suspiciously like cheese to me. While the fastest sumo match can end in about two seconds (often due to a loss of balance), some matches last upwards of a minute or more. Two wrestlers will battle on the belt to gain the slightest advantage and then dump their opponent out of the ring. In StarCraft games sometimes end very quickly (often due to a lack of scouting), while some other games can go for an hour. In 2002 the widely popular book Freakonmics was released. In it was a chapter on sumo which expanded on previous research on match fixing. As mentioned earlier, a winning record is the most important thing for any wrestler. The evidence in the book showed that if one wrestler was 7-7 on the final day of the tournament, and if his opponent was 8-6 (already secure with a winning record), the former would win almost 80% of the time. Sound familiar? This year StarCraft fans were shocked to learn of match fixing involving one of the most famous names in StarCraft history. Ma Jae Yoon is awaiting sentencing for his role in the StarCraft match-rigging scandal, a scandal who’s story is likely incomplete, and involved gangsters, professional soccer players, and all levels of the StarCraft industry. In 2010 Kotomitsuki, a wrestler at the second highest rank, was forced to retire after it was revealed he had bet on baseball, and was being extorted by gangsters. In the following days numerous other wresters, managers, and hanger-ons were also implicated. Again, the sumo association was told by government to clean up the sport. Sumo has existed for hundreds of years in one form or another. It is hard to image that it will disappear any time soon. But, there is a multi-layered crisis blooming. The first problem is that professional sumo is no longer dominated by Japanese wrestlers. In fact, with the forced retirement of Kotomitsuki in the betting scandal, there is only one Japanese wrestler in the top three ranks of sumo. His name is Kaio, he is one of the oldest wrestlers still fighting, and his career is well into the twilight. In a country as proud as Japan, the lack of a great Japanese hope is exceptionally bad for the sport. The problem? In recent years big bodies from Eastern Europe have come to make their fortunes, but the real dominance is from Mongolia. Former yokozuna Assashoryu was recently run out of the sport for poor behaviour before he could make a run at some of the most cherished records. Current yokozuna Hakuho has a bigger body and less controversy that his predecessor, and with the talent pool shrinking there is little to stand between him and the record books. The repeated scandals have caused a fissure between the sport and the public. In a country with many sport options and a downward economy, sumo has to fight for its dollars. They are losing this fight. In a sport run by old men, and watched by old men, the sumo association has failed to take steps to appeal to the younger generation. As a teacher in high school who asks “who watches sumo?”, not a single hand goes up, year after year. StarCraft has been absolutely dominated by Koreans since 2002. While the odd foreigner has sometimes made an appearance the scene is very homogeneous. The lifespan of StarCraft is limited however. If ever kespa wanted to make changes to keep the sport alive, now is the chance. I believe there are lessons to be learned from the structure of sumo. Codifying the sport, creating divisions, articulating the promotion and demotion of players via records, and creating a standard of tournaments and off-seasons to build anticipation would all help increase anticipation of events. At this time they run the very real risk of making StarCraft monotonous. They have real competition now, it is time to adapt. I have been watching StarCraft for 9 years, and sumo for 5. With all the similarities I often feel the same joyous emotions and same frustrations. While you probably knew everything I wrote about the StarCraft side of things, I hope it was illuminating to learn that another sport, one that is hundreds of years old, shares many of the same traits. Interesting. Hmm, I guess analogies are easily enough made. To expound upon it is harder, it is possible that you could have elaborated on certain aspects of the piece. First I would probably have changed syntax during certain spots because the connotations of certain words don't fit the context of the location. Do you have any idea how sumo managed to appeal to younger people in earlier generations? would japanese Sumo guys do decent in MMA ring? This is very neat Mani. I don't know that much about sumo so I found it a fascinating introduction to that scene. Thanks for sharing! I always wished sumo catched onto the western world because of how complicated and tactical the matches looked, but I had no idea about the stables and the whole industry being so traditional. Very enlightening about sumo. I agree the connections seem well tied in. One way to make sumo popular in Japan is a sumo manga which becomes a hit, sounds easy but probably not feasible. Sports manga in general have a smaller reach compared to battle. SC2 is going to become a staple eventually and there should be no reason that both can't be around at the same time. Hope people can put aside differences and work to establish something strong and widespread. Same as the manga though, going to be difficult. Really great blog, I enjoyed reading this thoroughly. How does university affect where these guys start out? I've never gotten into sumo, but this makes me want to watch it. I am super super glad to hear kaio is still going. When I was taking an intro course to japanese years ago my teacher wanted us to watch sumo matches. Whenever we would watch I remembered how fondly he would talk about Kaio and the skill the man had. Very happy to hear he is still going. Manifesto you are awesome , I never really knew much about the sumo wrestling scene. They would do terribly. It is the same as the boxing vs mma argument. No mma wrestler could touch a sumo wrestler in the ring, and no sumo wrestler could take an mma fighter in the octogon. It is tough to be at the lower levels in sumo. What is worse is to fight your way to the top division, enjoy all the comforts and wealth that comes with it, and then slowly fall back down to the lower levels only to serve those that once served you. I realize that a sumo wrestler wouldnt do good in mma, but I've never understood why you don't see any sumo playing football in america. Surely they could make way more money dominating the offensive/defensive line than they could wrestling in japan. I don't know anyone playing currently who could out-waddle a proper sumo. I saw some random Japanese news a few months ago and wondered why they were going on about sumo + Hakuho for so long (half the news for 3 days!? ), now I kind of get it :D.
Lost in a groundless dream. You can't fly if there's nowhere to fall. Ill read this later but i when i read the title i tought you were going to refer to the match fixing scandals in sumo.